Want to subscribe? Click here! 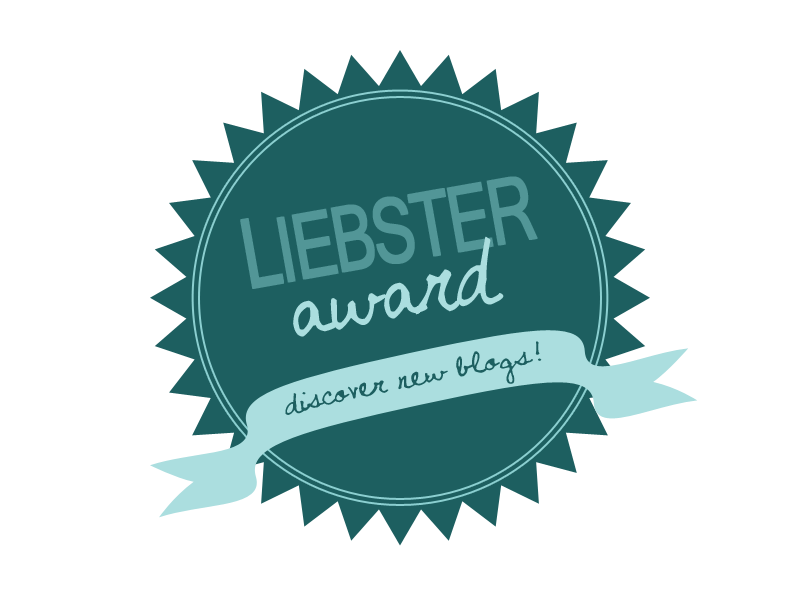 My friends at Shameless Plug (who are gifted artists and worship leaders, by the way) were kind enough to nominate our blog for a Liebster Award, which helps to spotlight blogs with less than 1,000 followers. Part of the deal is that I answer some fun questions so that you can get to know me a little better, so here goes! Q.Which is your favorite season? My favorite season is fall. Nice and cool (most of the time), and you have the end of the baseball season and the beginning of football season at the same time…I love it! Q. What is your favorite movie, and why? My favorite movie is probably “Chariots of Fire”…there is something about watching the scene where Eric Liddell wins the race after taking a stand for what he believes that is both motivating and convicting. Q. If you could take your ideal vacation, where would you go and what would you do? I’m torn. I love Australia, but would love to hang out in Alaska or the Seattle area and see the gorgeous views as well. Q. If you had a chance to take 3 things with you to a deserted island, what would they be? My wife, my kids, and a piano. Q. What type of cuisine do you enjoy the most? I eat almost anything, but love to have Pho…it is one of my favs. And I apologize for not having the slash above the o! Q. Which band/artist would you like to see live in concert (if you haven’t already)? David Ramirez. I love the artistry of his lyrics and the authenticity with which he plays. Q. Do you have any hobbies you’d like to take up? List it/them! I would love to learn more about electronics when it comes to rerouting them to digital technology. Yes, I am a geek. Q. Who (one person) inspires you, and why? My father, Lanny. He is 63, serving full-time in music ministry after retiring from teaching music, and getting ready to embark on a whole new journey as well. He works hard, loves hard, and follows after Jesus even harder. Q. What is your favorite ice cream flavor? Q. Do you want to build a snowman? Of course! Every year our family builds a snowman and takes a family picture with it. Sort of like tradition. Brandon’s Bits–This is a blog by my friend, Brandon Jones, who is a pastor in Herreid, South Dakota. He writes highly intelligent, intellectual, and thoughtful blogs that you should check out. Frayed Parent–This is by my friend, Jamin Garoutte, who also doubles as my counterpart in trying to remind each other to blog. But when he does (get on it! ), he blogs honestly and thoughtfully. Heart Mommy’s Strawberry Shortcake–This is a blog by a foster mom who does a wonderful job of sharing the struggles, joys, and doubts and fears of fostering. Worship Synths–This is one of my resource pages for my craft–keys. Love it! 1. What motivated you to start blogging? 2. What is your biggest challenge right now? 3. If you could have a conversation with one person, who would it be? 4. What is your biggest goal for the next year? 5. If you could share one thing with your readers, what would it be? Thanks to all who participate, and may this shed some light on your blogs! How much do you love your city? What would you do, how much would you sacrifice for the good of your city? What if how much your city prospered determined how much you prospered? Think about how much that would change our motivation. If the family has given control over spiritual development to the church, has the church given control over social and cultural development over to the community? What we do about this stuff? And do I have any answers? No, I don’t have the answers. These are the thoughts I have had for several weeks and months as I struggle through reconciling work, home, and ministry in my life. As you can see, there seem to be a lot more questions than answers. For me, this is a healthy way to process through and come to grips with my own insecurities, inadequacies, and weakness. To be a leader, this has to come first. For me to pawn off my weakness as personality is simply lying. To fixate on it to the point of depression is ignorance. But to cohesively learn to walk the line of self-evaluation combined with self-confidence can lead to helping grow from our points of weakness AND strength. What does this have to do with the myriad of questions I shot out at the beginning? This. If our fixations are simply on us, we have missed the boat. If our idea of raising healthy, spiritually rounded children is to drop them off at Sunday School, we are guilty of laziness in the home (I know I am). If our idea of helping community is just joining forces with community groups doing good instead of being the creative cultural force other community groups are joining with, we are guilty of taking the easy way out. If we are worried about our perception more than our reality, we will never. be. effective. As I have walked through the idea of compassion and how we function and live as the church, it has convicted me of how much work must be done in my own life, let alone in the lives of my children, my church community, and the community as a whole. So where does that start? So where are you in this journey? Answer one, answer two, or answer them all! Just a few questions to get the mind rolling today…I will give you my answers in the comments section later this morning. Take a few moments, jot down your thoughts, and have a great day! 1. If you could do anything for the rest of your life, what would you do? 2. If you could have dinner with three people (past, present, or future…;), who would they be and why? Okay, that’s two in one, but roll with me. 3. What is your biggest barrier to pursuing what you are passionate about? Do you ever wonder what would happen if you stopped being busy? Over the last few days, I have been trying to work on simplifying things in my life. Simplifying how I communicate, how I schedule, how I minister. Why? I want to make what I put my energy into count. To spend time with my family knowing that my whole mind and heart are with them, that when I am with friends, I am with them and not my work. That worshipping with my community of believers is a joy and not a responsibility. A thought hit me this week as I self-evaluated. How many things in my life that cause me to be busy are a result of my own selfish desires? Before anything else came to me, this did: Ouch. Who causes me to be busy? Me. What person says to yes to everything I accept? I do. The second thought was this: Honesty stinks sometimes. In music, there is a fine line to walk in orchestration between create multiple layers that create a wonderful texture without too many layers that create multiple dissonances that muddle the overall goal of the piece. Perhaps we have confused the insanity of life to be sophistication, when simplicity produced it all along. I challenge you to simplify your life this week. And see how sophisticated your family, friends, and community becomes. Do you struggle with doing too much? Sometimes when we are looking at sermon series, or passages of scripture that will be used in our services, ideas flow like water. There are songs that relate, or that will be great for crafting a cohesive service. Then, there are the times when I look at the topic, and wonder what in the world is going to happen in this service? This is one of those times, yet it seems every time it happens, the service is special…mostly because it isn’t about my planning, but God’s glory. In both services, I am transistioning the idea of recognition of God’s mercy and power to praising Him for the work he can do in our lives…Michael Farren’s song will be our invitation (“Come just as you are, with all your broken pieces, all your shameful scars…”) to give our weakness away to His strength. However, I would love input from you for ideas in a sermon like this! What do you have planned for this week? Let’s share and collaborate! Since most of the sermons in this series are pretty reflective/serious, I have tried to start the service off with songs that either speak to the victory over sin through God’s work of redemption or the recognition of hope we have through the work of the cross in more upbeat tunes. Then after the welcome, we shift to more reflective themes. This week, we are changing up “Overcome” by placing a reading in the middle of the song between the bridge (“We will overcome by the blood of the Lamb…”) and the chorus to end…several speakers that will speak of overcoming doubt, fear, unforgiveness, hurt, anger, and other examples. After the sermon, we are going to do “Healing is in Your Hands” and use that as a reflective time to consider relationships or areas we need to seek reconciliation. What are your week’s services looking like? Share below and let’s collaborate! Mondays for me can be one of two things: Complete brain freeze, or extremely productive. So, in light of trying to be productive, here is a recap of our services from yesterday, or a followup of the precap from earlier in the week. The blended service kicked off with a blend of “Victory in Jesus” and “You are Holy/Prince of Peace”. One thing in my planning I hadn’t accounted for was the key of our sheet music for “You are Holy” which was in E, so we had to make a clean break to go into the intro. It just goes to show you that double checking keys is important. The transition was smooth, however, so it worked out well. We had the choir sing “Be Still and Know” and transitioned into “I stand Amazed in the Presence”, which was a neat time for me. I love listening to the congregation when they are fully confident in singing a song, and this was one of those times. Since we were talking about forgiveness, about halfway through the sermon, we used the song “7 x 70” by Chris August to emphasize the point. In the contemporary services, we kicked off the service with “You are Holy” and set the sermon up with “Hosanna”…and I forgot to double check the words in the 2nd service, so the vocalists did a great job of saving me there (brain fart). After the sermon, we did “I stand Amazed” into “Mighty to Save”, which really had a lot of momentum to end the service…I made a mental note to remember how well those two songs complement each other lyrically and musically. How were your services yesterday? What notes did you come away with? Welcome to the first of hopefully many posts that we collaborate on as we walk through the journey of worship planning! I’m simply going to walk through what some of my thoughts were as I planned the service this week, and encourage you to comment, share your own thoughts from your planning, and ask questions and give feedback as you do! My thinking was to start with a broad view of Christ and his attributes as we open worship, and then to focus in on the idea of the forgiveness he has given us, and our need for a Savior as we progress through the service. For us, we sometimes do a setup song that doesn’t necessarily work corporately, but hits right on the point we are making…Chris August’s song hits the nail on the head for us. In our contemporary services, we backload the service, meaning we put a song set after the sermon to allow our community to respond to what they have heard. We aren’t doing that this week in the 1st service. One thing I might note is that we are not doing “Overcome” this week because we will use it next week in a drama. So now that I have shared some of my thoughts, what are yours? What are you doing this week in worship planning? Starting this week, I will embarking on an experimental journey which I am encouraging you to join me in…I will be precapping and recapping every week’s preparation and execution of services. Currently, you can see what has happened each week in many services through the Sunday Setlist at The Worship Community. I am going to take this one step further, and I encourage you to join with me in this endeavor. On Wednesday of each week, I will give you a peek into what I am planning for the week: The sermon series/title, what thought process I went through to plan, etc. My challenge to you is to do the same. 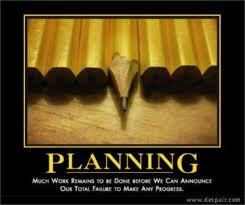 Share your planning thoughts in the comment section if your comfortable, share an idea about mine if you think of one. 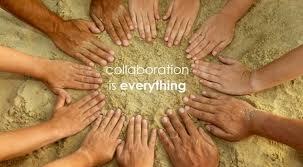 Let’s begin a collaborative effort to challenge each other to think! Will you join me? Come back on Wednesday and share your Sunday thoughts as we journey through ministry together! 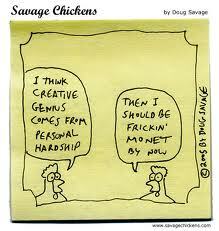 What Happens When Creativity Fails You? We’ve all been there. At the point where you really need good, smooth flow of creativity, your brain seizes…you try everything to get it back. Coffee, freewriting (just like your English teacher taught you), scouring websites, Google searches and you still come up empty. You become convinced you have simply run out of good ideas. The truth is, creativity is not always a one person job…and we try to make it that sometimes. I have been meeting with a creative team, and it has blown my mind the kind of ideas that we can come up with just by bouncing back and forth one idea, concept, or phrase between each other. As I progress in ministry and in life, it is another simple reminder that community and teamwork are the building blocks to true success. Quit trying to do everything on your own. Allow others to input their creativity and giftedness into your life, your planning, and your ministry or job situation, and see how it revolutionizes the way you work. What have you learned from collaborating? What tips do you have for starting collaboration?